Explanation: Ribbons of red-glowing gas and dark dust surround massive young stars in this close-up of the Lagoon Nebula taken by the Hubble Space Telescope. 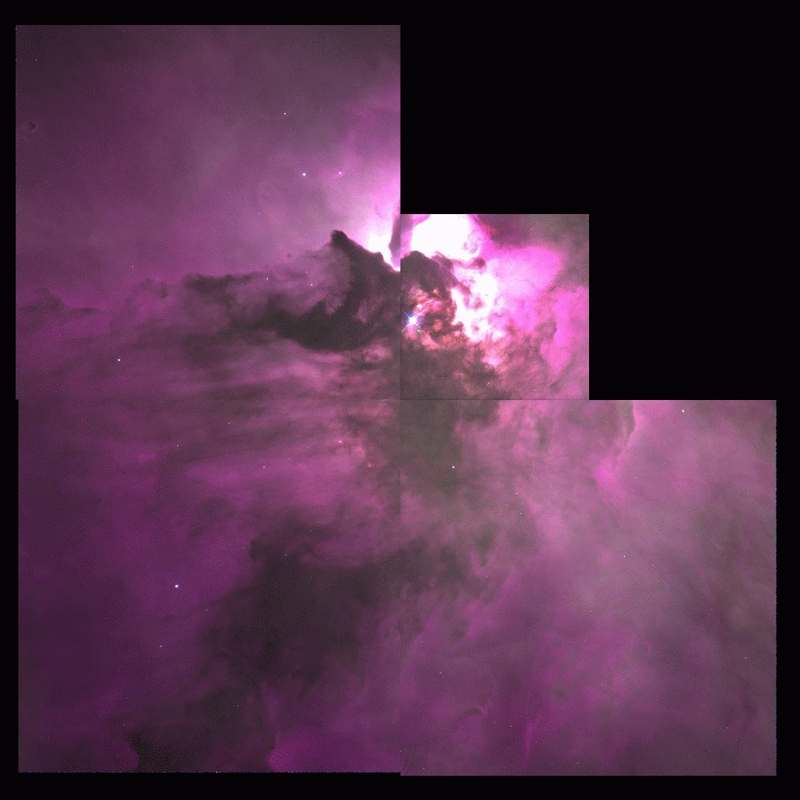 The Lagoon Nebula is relatively close and bright - it appears larger than the Full Moon and is visible even without a telescope. Light takes about 5000 years to reach here from there. The Lagoon Nebula houses the open star cluster M8. This photograph is combination of exposures taken in the red, green and ultraviolet. The unusual bright central part of the Lagoon Nebula (lower left in this image) is known as the Hourglass Nebula.